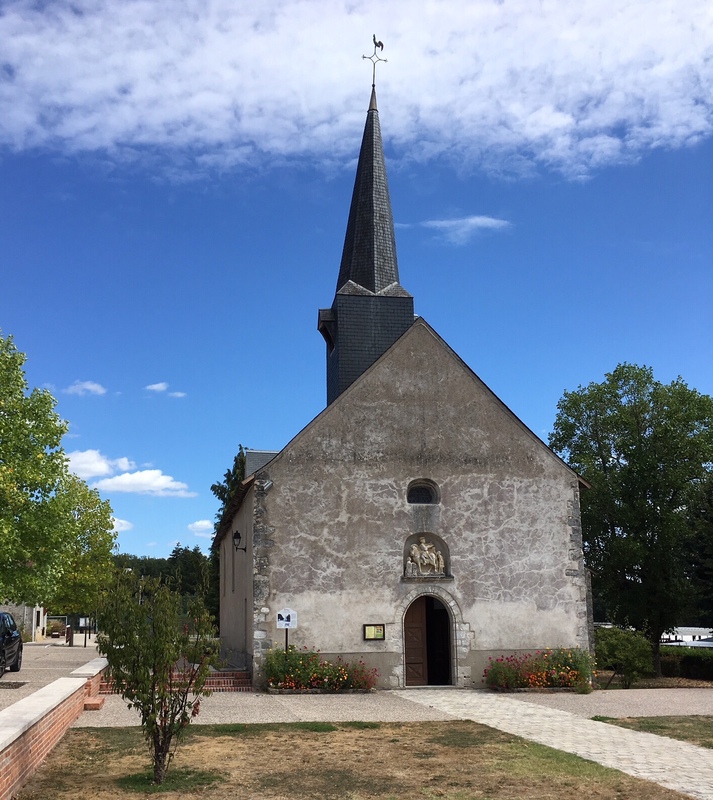 This little 12th century church in Crouy-sur-Cosson has a beautiful sculpted group on the front depicting the Charity of Saint Martin, the patron saint. Cette petite église du 12 eme siècle à Crouy-sur-Cosson a un très beau groupe sculpté représentant la Charité de saint Martin, saint patron de l’église. A church with history and endurance. It’s strange to think of a building erected before most Europeans, Vikings excepted, even knew there was a North America.